The leader in On-Demand Customer Service Solutions including Visual IVR has enhanced its survey capabilities, adding proactive customer feedback opportunities and more robust insights. 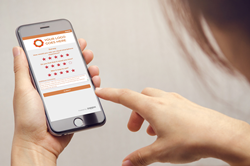 The enhancements to its new digital survey offering connect businesses to customer feedback and enrich the business decision-making process. To learn more about Zappix, go to: http://www.zappix.com.